Best Entry Level Road Bike In 2019 - Comparison & Reviews From Experts! Road cycling is one of the best activities many people love all over the world. Whether you are riding for recreation, competition, fitness or commuting, you need to have a high-performance road bike. As an entry-level rider, how are you going to find the best entry level road bike? If you have never bought one before, it can be mind-boggling to dig information from thousands of websites online. 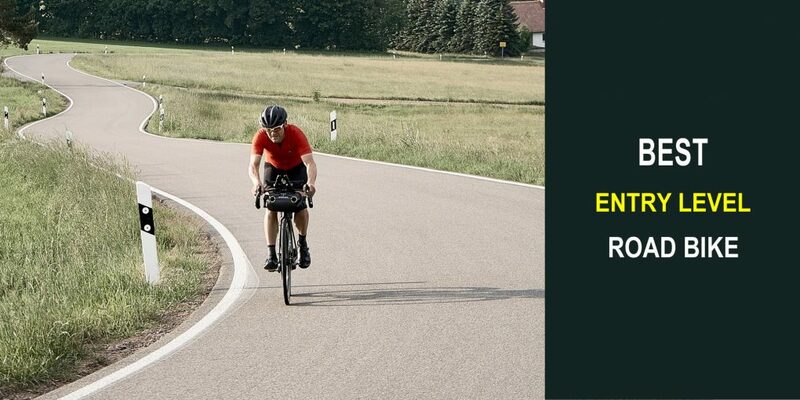 Fortunately, I have made your work easier by providing you with high quality and affordable road bikes reviews that will suit your budget. 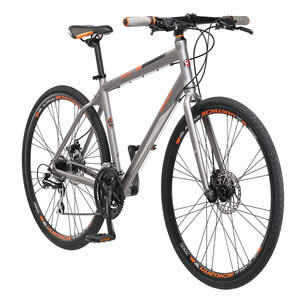 The bikes I have reviewed are great if you are starting your cycling journey. Check out the rest of the reviews and buying guide to help you make an informed decision without breaking your bank. Getting an affordable road bike that will cover your needs can be a bit challenging. My team and I have made things easier for you, we have come up with a list of the best entry level bicycles that you could choose from. 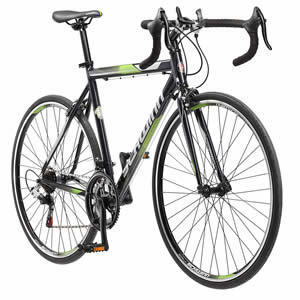 If you are a beginner or professional rider looking for an affordable road bike, Vilano has plenty of options for you. One of their top entry-level road bikes you can think of buying is the Vilano Aluminum Road Bike. This is a lightweight bike with an aluminum frame that is durable. The bike is suitable for riders who are into fitness, touring, commuting or group rides. It is also good for beginners or people who want to take their cycling to a higher level. The 21-speed road bike features Shimano components giving you an assurance of quality parts and good performance. These include Shimano shifters and Shimano front and rear derailleurs. With its aerodynamic drop style handlebars, you can enjoy comfortable rides over a long distance. For dependable stopping, the bike is fitted with alloy caliper brakes that never disappoint regardless of the weather condition. The bike also features 700c double-walled wheelset and quality tires that give an excellent traction on a variety of terrains. Many riders also appreciate the urban comfort saddle so you don't have to strain your backsides when riding. To add on to that, it has a threadless fork that to absorb shock for smooth rides. You need to do some assembly when you get your package. If you have no knowledge regarding bike assembly, you can check online videos to guide you. As a beginner cyclist, you don't have to spend a lot of money buying your first bike. You can get many affordable bikes with basic components that will suit your riding. In this case, try the Pure Cycles Classic 16-Speed Road Bike. This is an amazing beginner road bike with a nice design and modern geometry. The bike is lightweight and features a full 4130 Chromoly steel frame that is stable and strong. Additionally, it has a fork and a butted seat tube to maximize comfort. This makes it easy for the frame to flex and give you smooth rides on bumpy terrains. The curved drop bar further enhances your comfort by keeping your upper body in a comfortable position so there is less strain on your shoulders and neck. The frame of this bike is easily customizable and features mounting points and attachments for crates, fenders, racks, panniers and much more. The adjustable drop bar design gives you different hand positions to choose from. It also has a very comfortable saddle that keeps you comfortable even on extended rides. This bike is designed with a beginner in mind so it is very easy to use. It has Shimano Claris 16-speed drivetrain that assures you of accurate and easy shifting. Another great aspect of this road bike is the all-weather tires that offer safety and control. You can get this bike in 6 varying sizes to fit most riders from 4 feet 11 inches to 6 feet 4 inches. The front and rear front alloy caliper brakes give you more stopping power without necessarily applying more force on the brake lever. It comes 90 percent assembled so you have some little assembly work to complete. You also need to do some tuning and adjustments after assembly. Buying your first road bike is not as simple as it looks. There are a lot of options on the market making it hard to select a bike that will meet your requirements. 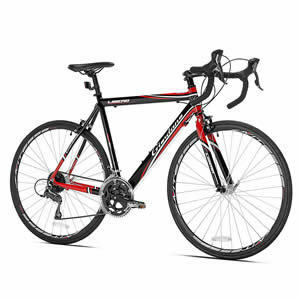 However, if you don't want to go through the trouble of moving from one site to the other looking for an entry level road bike, get the Schwinn Volare 1300 Men's road bike. This is an excellent bike with a medium aluminum frame that is designed to fit many riders. The bike is equipped with 14-speed Shimano A050 shifters and Shimano rear derailleurs that give you easy and fast gear changes. When riding on steep terrains or when you need to slow down, you definitely don't want to experience failing brakes. The alloy caliper brakes fitted on the bike offer reliable stopping regardless of the condition out there. The bike is well crafted to provide you with maximum comfort. The saddle and the alloy seat post not only provide comfort but also make the bike lightweight. It also features double wall alloy rims that are light and strong which makes the bike durable without adding more weight. Assembling the bike is simple which can take less than one hour. To make your work easier, it comes with a booklet to guide you. If you need an excellent road bike for commuting, the Giordano Libero 1.6 Men's Road Bike can be a great investment. The bike comes in different sizes to fit all types of riders. You can choose a small size for riders from 5 feet 1 inch- 5 feet 8 inches. Medium size fits riders from 5 feet 8 inches to 6 feet and the large size is for riders from 6 feet 2 inches to 6 feet 5 inches. The frame of the bike is designed from 6061 aluminum material which is durable and lightweight. It has Shimano Claris 16 speed STI shifters and derailleurs that offer better control when climbing with minimum grueling. When you are on the road, you need some hydration to keep you going especially on a sunny day. 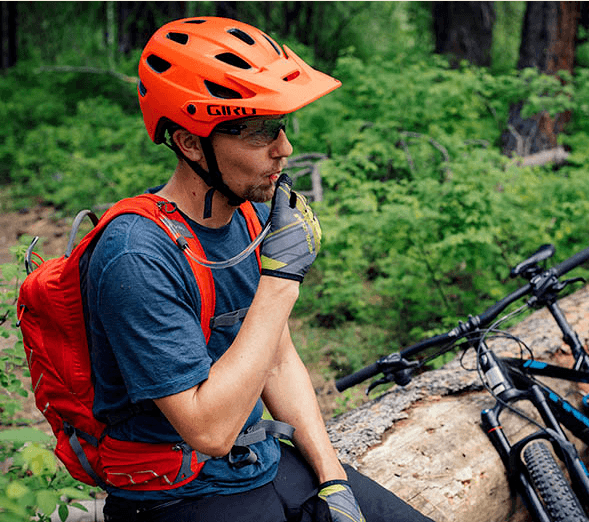 This is why this bike has dual water bottle mounts where you can carry some water or favorite drink conveniently. In regards to stopping power, the bike comes with front and rear alloy side pull brakes that work well even on wet conditions. This bike requires professional assembly for safe riding. You can also assemble it at home if you are conversant with DIY bike set up. Are you a fitness enthusiast looking for a stylish hybrid bike? 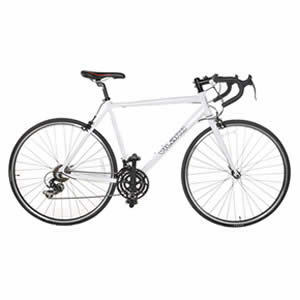 Schwinn Phocus 1500 Flat Bar Road Bike can be a good choice. The bike is designed with a lightweight aluminum frame that makes it comfortable when you are riding on different terrains. This is a flat bar hybrid bike that is packed with important features to help you cover more miles in less time. It gives you riding freedom so you are not limited to the places you can go. The frame of the bike features a Schwinn sport suspension fork that gives you fast and efficient riding. You can get this bike in 17-inch frame size and 19-inch frame size. The bike is also designed with high profile alloy double wall rims that are strong and lightweight to give you the needed stability on the road. With this bike, you can handle anything that comes your way, thanks to the fitted mechanical disc brakes for reliable stopping power and 24-speed drivetrain that offers a wide gear range. Assembling the bike is simple. Depending on your assembly skills, it should take less than 2 hours to finish assembling the bike. If you do not know how to adjust the brakes and derailleurs after assembly, then you can seek help from the nearest local shop. Setting your expectations is crucial when buying a beginner road bike. This will assist you to get a high-quality bike at a lower price. The following are some important things you should check. The frame is the backbone of a bike. If you choose a bike with a poor quality frame, then you should expect a poor performance. There are several materials that are used to make bike frames. If you are buying your first bike, I would recommend an aluminum frame. Why? Not only are the bikes affordable but they are also built to last. If you can afford a carbon frame, that is also a better option. Carbon is resistant to cracks and also expensive. The truth is, as a beginner, you will hardly notice the difference between an aluminum frame and a carbon frame. Why should you pay for more? No one wants to get a bike with poor quality parts no matter how low the price is. Most manufacturers lower the price but compromise on the quality of the bike's components. Some of the best brands you can depend on for quality components include Shimano, Campagnolo, and SRAM. The size really matters when it comes to achieving the best bike fit. If you want to get comfortable rides, choose a bike with the right size that matches your height. Safety should also be your concern when choosing a road bike for beginners. What type of brakes does the bike have? Most entry-level road bikes are designed with caliper brakes. However, you can still find other models with disc brakes. Caliper brakes feature a design that stops or slows your road bike where rubber pads are forced against the rim of the bicycle to create friction. The brakes are effective because they offer good balance when it comes to stopping power and the variation of the power that you can apply. On the other hand, disc brakes give you faster rides, better braking power and they are also reliable during wet weather. They also have some downsides like weigh more, difficult to maintain and they are expensive. The type of wheels and tires also matter when if you want to get a smooth performance and durability. If the quality of the wheels is not up to the mark, then you will end up spending more money replacing wheel in the long run. Select a road bike with wider tires so that it can give you the best cushioning for smooth rides. This will, however, come with an additional weight. If you are in to racing, you can go for slick tires. These are unique tires that are designed for racing purposes. The tires do not have tread and give more traction because they are designed from hard rubber. Most road bikes come with thinner tires which means there is less contact and friction on the road. This makes them very fast. The gear ratios vary from one road bike to the other based on the purpose of the bike. Most road bikes feature either 2 or 3 front chainrings. Road bikes with 3 chainrings are commonly used for touring, recreational or entry level road bikes. Today, you can still find some roads bikes with a single chainring like the one found in mountain bikes. The main benefits of a single chain ring is that it makes shifting to the rear cassette simple and well as reduce mechanical problems. If you want to achieve a better spread of gears and easy paddling, then look for a road bike that is designed with smaller front chainrings and a larger ratio cassette. On the other hand, if you want to get speed and less gear range, select a road bike with small ratio cassette on the back and larger front chainrings. The above road bikes are suitable for beginners. Not only do they provide you with a nice fit but they are also strong and lightweight. The bikes are easier to pedal and designed to last longer. If you are new to cycling and having trouble picking a starter road bike, the above models will be an excellent section. 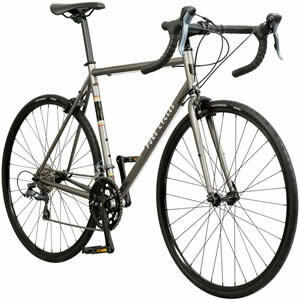 If we had to recommend the best bike with an aluminum frame, we would go for Vilano Aluminum Road Bike 21 Speed Shimano.